Imagine you’re standing at a supermarket checkout, the cashier scans all your shopping and gives you the total. You tap your credit card on the card terminal and the till whirs for a couple of seconds before printing you out a receipt. This process seems incredibly simple, straightforward and quick. Behind the scenes, there are a several payment processing players that all work together to coordinate payments and move money from one account to another. As a customer, you won’t see any of it but it’s still interesting to know what’s going on. In this article (and the infographic at the end), I’ll walk you through the basic steps of the payment processing and settlement processes. Before we get started, let’s quickly recap what parties are involved in the process. The Customer — The customer, or cardholder, is the person in possession of the debit or credit card. That’s me, you or Joe Bloggs from down the street. The Merchant — The merchant is the organisation selling something (usually goods or service) to you. That’s Tesco, John Lewis, Carphone Warehouse and so on. The Acquirer — The acquirer (also called the merchant acquirer or the processor) processes card payments on behalf of the merchant. Think Barclaycard, WorldPay, Lloyds Cardnet, Allied Irish Bank and major US players like First Data, Global Payments and Elavon. The Issuer — The issuer is the financial body that issued your credit or debit card. Santander, Capital One, the Post Office or basically anyone that will issue you with a card. The Card Network — The card network is the organisation that coordinates payments between the acquirer and issuer. Visa and MasterCard are the biggest and best known. Now you know who everyone is, it’s time to look at how they all work together to facilitate payments between customers and merchants. Step 1 — The customer presents their card to a merchant to pay for goods or services. This can be to a card terminal in-store or on a website for e-commerce. Step 2 — The merchant captures the customer’s payment information with a card terminal (or a payment gateway if its an online sale) and sends it to the acquirer. Step 3 — The acquirer asks the card network to get authorisation from the customer’s issuer. Step 4 — The card network submits the transaction to the issuer for authorisation. Step 5 — The issuer authorises (or declines) the transaction and sends the authorisation back to the acquirer who can then give the customer the goods, safe in the knowledge that the transaction has been authorised. Step 1 — The merchant performs its “end of day” process whereby all of the information on all of the transactions processed that day is batched and sent to the acquirer. Step 2 — The acquirer separates the transactions out by card scheme (Visa, MasterCard, etc) and sends the transaction data to the respective card schemes. Step 3 — The card scheme separates its transaction data out by issuer and sends the transaction data to each issuer in respect of the cards which it has issued. Step 4 — The issuer sends the payment to the card scheme, who in turn sends it to the acquirer who in turn settles to the merchant. This settlement process takes between one and three days, depending on the identity of the acquirer and the merchant’s business bank. 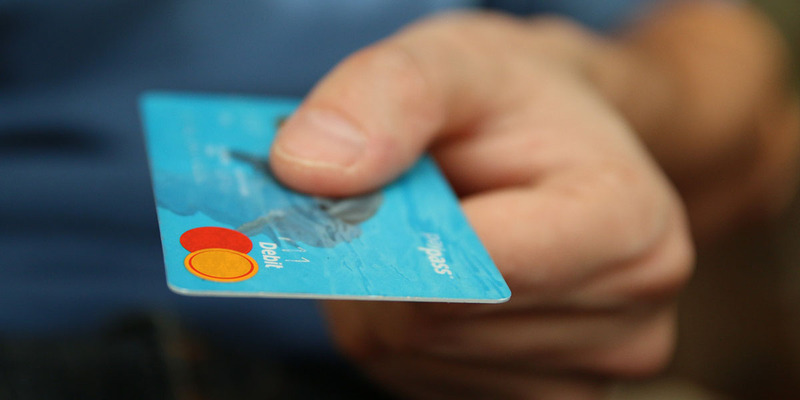 Acquirers typically receive settlement from the card schemes on the day following the transaction and either settle to the merchant that same day or two days later. For cards issued out with the UK, the settlement funds take up to three days to reach the acquirer from the card scheme. However, the acquirer will normally forward funds in advance to the merchant where non-UK cards are involved so the merchant still gets its settlement funds the next day and it’s the acquirer who ends up funding the timing delay whilst waiting for funds to arrive from the card schemes. Some solutions (mPOS, eCommerce and high-risk activities) can take longer than the normal one to three days for settlement. Often this is to give the acquirer some collateral for credit risk protection. That’s a lot of information to absorb in one go so we’ve also whipped up an infographic that’s a bit easier to digest. Feel free to share the infographic on social media or on your website using the code at the bottom of the article!